“The FBI confirmed that disgraced former FBI Director James Comey drafted a statement exonerating Hillary Clinton two months before she was even interviewed. Comey knew exactly what he was doing when he launched a phony investigation, preemptively exonerated Hillary Clinton, and leaked classified information to perpetuate the plot against President Trump.” – Tomi Lahren, The Great America Alliance. 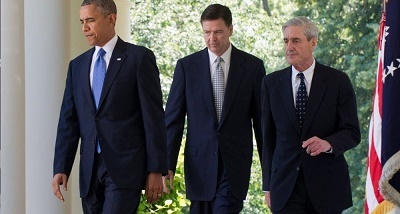 There are many who believe a special prosecutor should investigate and prosecute these three Deep State members — Obama, Comey and Mueller. The special counsel’s (Robert Mueller’s) investigation into alleged collusion between Russia’s Vladimir Putin and President Donald Trump — to secretly torpedo Hillary Clinton’s presidential dreams — drags on with Mueller’s investigators first having to find an actual crime committed by Trump or his campaign workers. But documents from the Federal Bureau of Investigation not only show political corruption bordering on treason, but they reveal the likely perpetrators included the Clinton family’s charity, the Obama White House, the Justice Department and the FBI. Federal cops possessed proof that Russian operatives bribed, paid kickbacks and used corrupt tactics in order to allow Russia to control a substantial amount of U.S uranium. However, it was President Barack Obama who ultimately approved a controversial uranium deal benefiting Moscow in 2010, according to a report released by the news media on Tuesday. Tens of millions of dollars from uranium investors flowed into the Clinton Foundation, and Bill Clinton received a $500,000 speaking fee from a Russian bank tied to the Kremlin before Secretary of State Hillary Clinton helped decide whether to approve the sale to the Russian government of a company that held one-fifth of America’s uranium capacity. The report addresses the allegations from the 2016 election cycle that the Bill and Hillary Clinton used the State Department as their own money-laundering facility. The release notes that Bill Clinton and his family foundation got millions of dollars from executives from a uranium company while Hillary Clinton led the State Department and served on a panel that helped seal the deal for a uranium sale to a Russian company. The Obama Justice Department reportedly conducted a slow-paced investigated that lasted for years, while hiding the details from the American people and their representatives in Congress. During this time the Obama team made two decisions benefiting Moscow. The first was the selling of Canadian mining company Uranium One to Russia’s Rosatom nuclear company. That sale involved the United States because it bestowed control of part of the uranium supply in the U.S. to the Russians. The transaction could possibly provide uranium to Russia’s ally Iran for it’s nuclear weapons program. The Clintons ripped off the Haitian people using their cash-cow masquerading as a charity. And the fake news media looked the other way. A year later, the Obama administration gave the OK on a separate deal involving Russia’s Rosatom subsidiary. The details of the Uranium One deal first emerged in news reports in 2015. Since then, President Trump’s allies have cited the deal – and accusations that the Clintons benefited from figures tied to it — to counter allegations of Russia collusion during the 2016 campaign. According to a former federal law enforcement official who spoke to the Conservative Base’s editor, the Obama administration’s Russian-uranium probe was supervised by Rod Rosenstein, who is now overseeing the special counsel probe into the evidence-deficient Russia-Trump allegations. “The State Atomic Energy Corporation ROSATOM is one of the global technological leaders. It is one of the largest companies of the Russian Federation and largest taxpayers of the country. It brings together nuclear power and power engineering assets, as well as NPP design and construction. ROSATOM is the largest electricity generating company in Russia, producing 196.37 billion kWh of electricity in 2016 (or 18.3% of the country’s total generation of electricity). ROSATOM holds first place for the largest portfolio of foreign construction projects (34 NPPs in 12 countries). “ROSATOM produces annually approximately 3,000 tons of uranium domestically, and some 5,000 tons in other countries. Raw materials of the Russian and foreign deposits (particularly in Kazakhstan) will be enough to supply both domestic and international projects of Rosatom for the next hundred years. “ROSATOM with its 1/3 world market share takes the lead in global uranium enrichment services and covers 17.7% of the global nuclear fuel market. ROSATOM also manufactures equipment and produces isotopes for nuclear medicine, carries out research, material studies. It also produces supercomputers and software as well as different nuclear and non-nuclear innovative products. ROSATOM’s strategy is to develop clean energy projects, including wind energy. 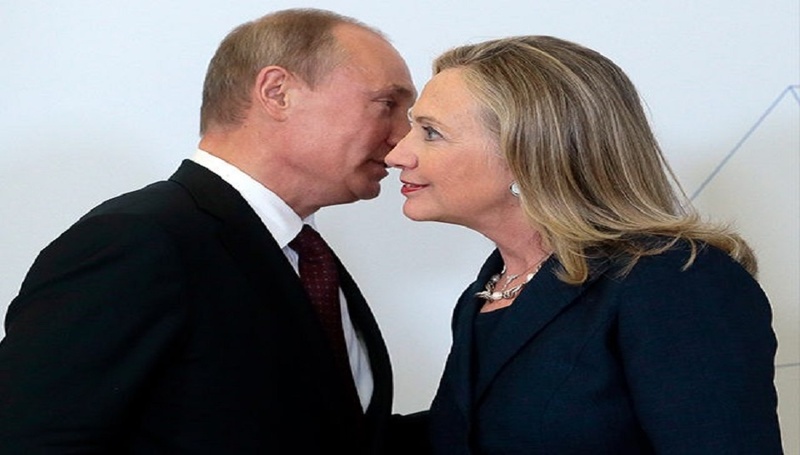 “Hillary Clinton’s State Department was one of eight agencies to review and sign off on the sale of U.S. uranium to Russia. 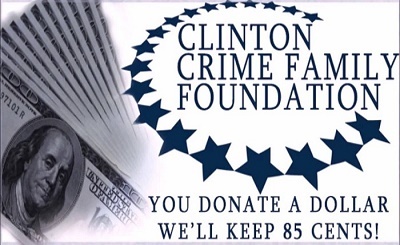 However, Clinton was the only agency head whose family foundation received $145 million in donations from multiple people connected to the uranium deal, as reported by the New York Times,” reported Breitbart News on Tuesday. All of the evidence regarding many actions of Treason and Sedition that have been acquired regarding Obama, the Clintons, Comey, Mueller and many others including Soros within the Deep State does not move the DOA to pursue convictions. WHY? JUSTICE MUST BE SERVED NOW!!!! !, NOT YEARS FROM NOW. God Bless and protect our America. Obama and Clinton’s both expected KILLARY would be in the WHITE HOUSE and still have Appointed Minions in USAG, FBI and all Federal Agencies to hide their TREASONOUS, Criminal Actions of past *8years. Trump has to weed out compromised appointed minions of the Obama Administration, ridding these minions in Federal agencies is like PULLING WEEDS! Facts and Truths are starting to coming to light! Obama Appointed MINIONS that are Federal Judges however;;;? Now for all the TRAINED MINIONS- That know Nothing but what you are instructed to SAY: TRUMP this TRUMP THAT! Obama and both Clinton’s are LIFELONG POLITICANS and support to have adhere to sworn oath of OFFICE! Trump only has 9 month in elected Public OFFICE! Sooo, STFU and look again at LIFELONG CRIMINAL ELECTED! You don’t really think Killary will ever be prosecuted for this do you ? Whoever said crime don’t pay has never met the Clinton’s.